Bring style to your wall space! 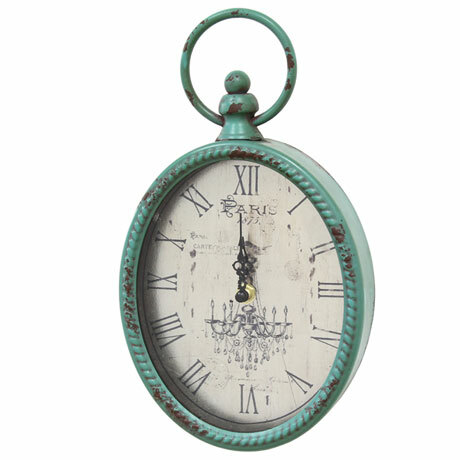 This gorgeous wall clock is made of metal with a distressed teal finish, making it an eye-catching accent piece for rustic inspired decor. Inside is an antiqued off white face with gray numerals and a chandelier accent. It includes an attached keyhole for easier wall hanging. 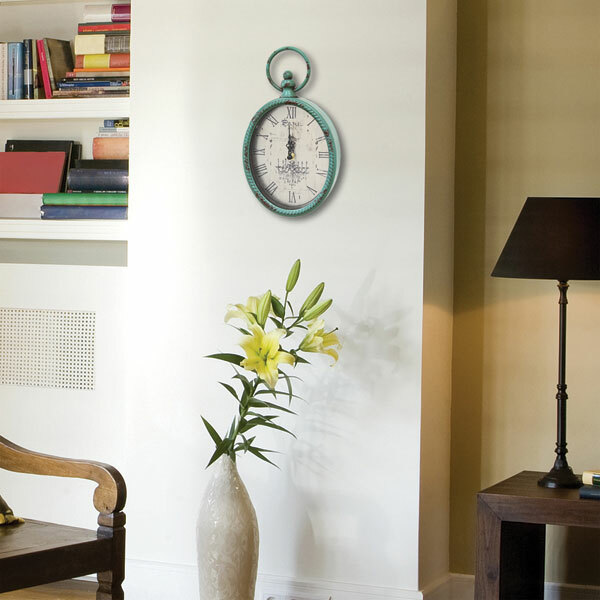 Place in any room to add personality to empty wall areas. Batteries included. 6 3/4" high x 2" deep x 11 1/2" high. Allow 2 weeks for delivery. No rush delivery or gift box. Item can only be shipped within the Continental US.